The stunning Quite Essential is one of the largest and most powerful Heesen yachts ever built and is the perfect combination of performance, efficiency and space. She features countless amenities usually found on larger yachts, including a fully equipped gym, spa, large Jacuzzi and pool. She comfortably accommodates twelve guests in six luxurious cabins. 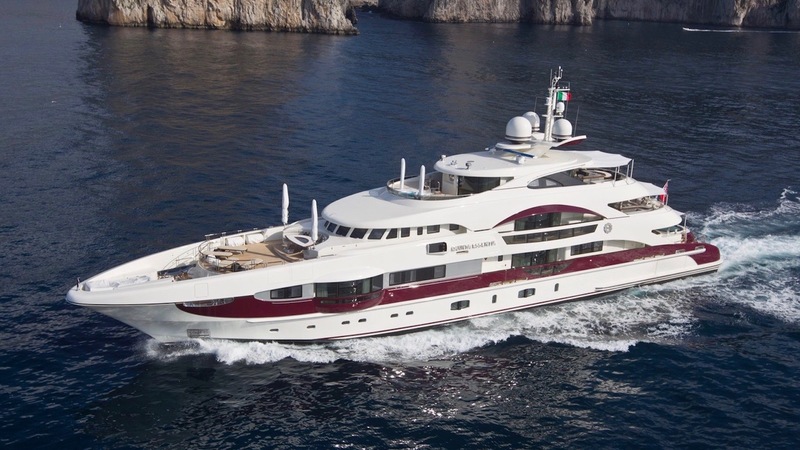 Her full-beam, apartment-like master stateroom, is one of the yacht’s several winning points and is equivalent to one found on an 80m yacht featuring side balconies, a private office, and walk-in closet. Quite Essential has an elegant interior, designed by Ken Freivokh & Michela Reverberi, that is complemented by spacious balconies and wide windows, allowing for plenty of natural light. The yacht, just under 800 GT, is powered by twin MTU engines and reaches a maximum speed of 24 knots. A Luxury Yacht for Charter! Fully equipped gym: 180° view on the sea with the latest fitness machines. Step machine, cross trainer, techno gym balls, resistance cables, weight sets, yoga mats. Spa: Hammam, sauna & massage room.